Food Art for Kids. Promote Creativity with These Fun Ideas! 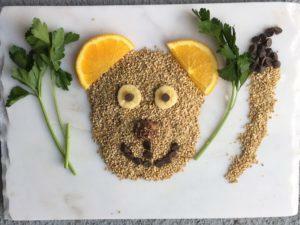 Home Articles Get Kids to Eat By Turning Food into Art. Get Inspired! I acquired a lovely marble cutting board recently and I decided to put it to use by preparing some fun animal-related food shots. 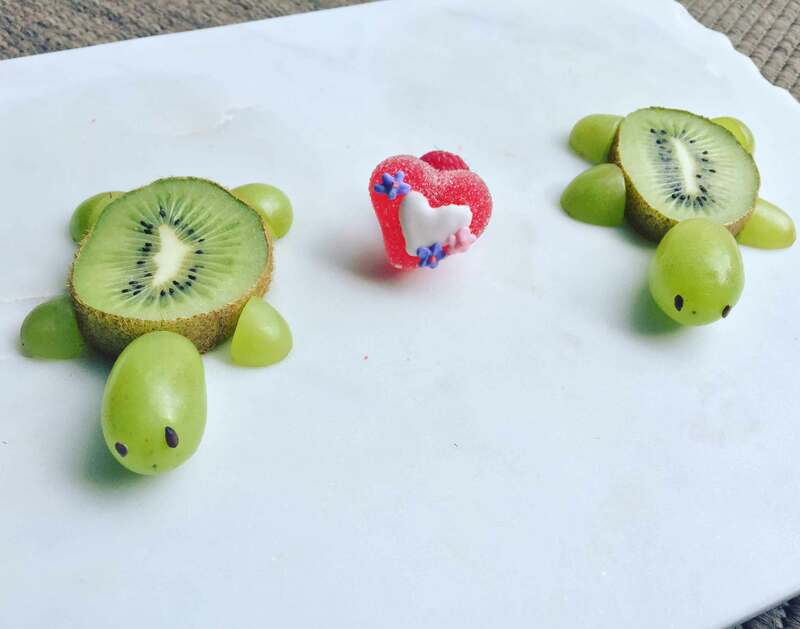 If you have kids, you love animals or you just love making art with food, you will love these creations. Food art is a great way to have fun in the kitchen with your kids and to get them to try and enjoy new fruits and other types of foods. It’s also a great way to express creativity and individuality. 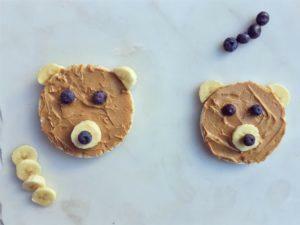 What You Need: Blueberries, bananas, rice cakes and peanut or other nut butter. As well as the Lion Cub frolicking in the tall grass. Find our favorite nut butters here. What you need: Oatmeal, orange slices, banana slices, chocolate chips and parsley. His nose is actually 1/2 of a Ferrero Rocher. You can also try cacao nibs for a healthier alternative to chocolate chips. Hope you guys enjoyed these, give them a shot at home! We love these steel cut oats for this. Check out all of Andy’s contributions and his blog for more food art! Promote creativity and a love for the kitchen with food art for kids! They'll love these cute ideas. A fun food craft for kids and parents. Previous articleEasy Lunches for Your Toddler. You’ll Never Run Out of Lunch Ideas Again! Next article20 Toddler Approved Healthy Snack Ideas. Offer a lot of Variety to Reduce Picky Eating.